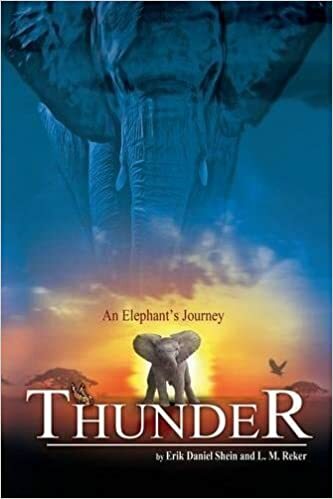 This morning, we are excited to share a review of Thunder: An Elephants' Journey, the first book in Erik Daniel Shein's middle school series focusing on the illegal ivory trade--and its impact. The review will be a little different this time as my youngest daughter will be sharing her thoughts on the book along with mine today. Check out the series, learn about the author--and add these books to your summer reading list. The Thunder: An Elephant’s Journey trilogy follows the journey of Thunder throughout his lifetime. The integration of real world problems woven into an entertaining backdrop educates children on the serious issues that all elephants face. Thunder: An Elephant’s Journey, a middle-grade chapter book, is the first book in the trilogy. It tells the story of a young elephant who is ripped from the only world he knows when poachers invade his quiet sanctuary. The journey invokes a thoughtful cognizance of Thunder’s world and the challenges he faces. The lessons woven into his story reinforce the importance of preserving and protecting the elephants impacted by the illegal ivory trade. Madelyn's Thoughts on Thunder: An Elephant's Journey. I really like this story because it's realistic (except for the talking elephants). The book shows life as it is for endangered pygmy elephants. It's true that poachers simply do not care that they are harming living, breathing animals. This book raises awareness by giving the animals a voice. I enjoyed the story--and I really liked the illustrations. I think it's a great book for older elementary aged/young middle school aged readers or families to read together. The book would interest younger kids--but, some of the vocabulary may be too difficult for younger reading levels. My Thoughts on Thunder: An Elephant's Journey. I also really liked the story--but, I loved Charlotte's Web and Winnie the Pooh and other books with talking animals! It is a story that creates awareness of a very difficult subject--but, truly personalizing it to the elephant and his feelings and emotions. The story flowed well from beginning to end and created enough interest to excite me for the other books in the series. I think the book is written in such a way that makes it perfectly for families to share or for older readers to read alone. It's perfect for strong readers in upper elementary or lower middle school--though, as an adult, I enjoyed the simple story! I would recommend it for use in introducing and supplementing science or social studies topics related to endangered species and protective efforts for them. 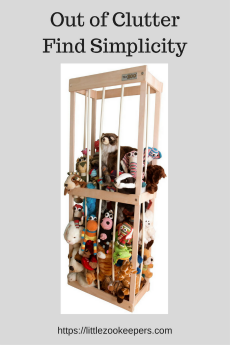 Readers will find a host of resources and agencies related to the support and treatment of endangered animals at the end of the book for additional learning (or volunteer/support opportunities). As I read, I thought that this book would make a wonderful, family movie--and was pleased to learn that there was a plan for a short film. Oddly enough, I didn't really pay a lot of attention to the illustrations--but, they impressed my daughter greatly. So--I had to (slow down) and go back and take a look at them! I would encourage you to take note of them. They are really well done and do add even more personality to the book's pages. A portion of proceeds from these books will go to the Arkwatch Foundation, whose mission is to prevent the depletion of rare animal and plant species. You can learn more about The Arkwatch Foundation at www.arkwatchfoundation.org. 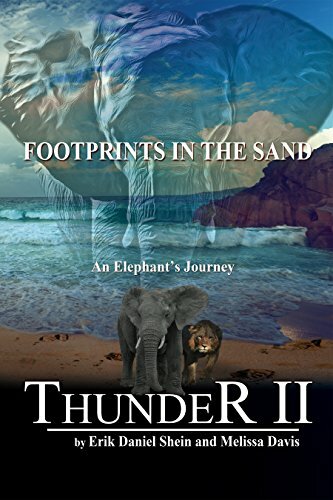 Thunder II: An Elephant’s Journey, Footprints in the Sand continues Thunder’s story as he and his friends learn to deal with deep personal loss, something many can relate to. This story helps children understand that animals have the ability to grieve and show compassion the way that humans do. 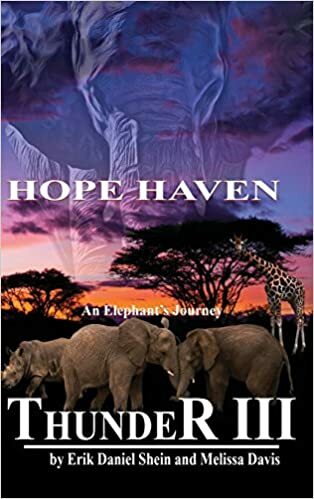 Thunder III: An Elephant’s Journey, Hope Haven is the final book in the series. Thunder and his friends return to find new adventures. In Hope Haven, Thunder learns that not all “uprights” are out to get them. Some humans are fiercely trying to protect elephants as they follow through with the enforcement of the sanctions created to save the species. Erik Daniel Shein has authored and co-authored over 30 nonfiction and fiction books which include The Forgotten Ornament and Aurora: Spirit Bear of the North and the new Thunder series. He’s also been a filmmaker for many years, receiving the Telly Award in the Animation Category of a Non-Broadcast Show and the Communicator Award of Distinction for best nature program for The Reptile Chronicles. He has twice received the Kirkus Independent Author of the Month award. L.M. 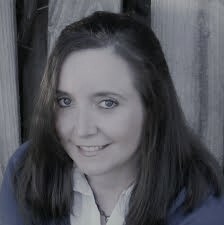 Reker is an educator and author and has written for many years with very diverse groups: gifted, developmental English, humanities, and courses in critical thinking, up to his current position of college professor of English. He has collaborated with Erik Shein on the first book of this trilogy.